Hair loss, itching scalp and rough hairs texture are some common problem that everyone face. The common reasons behind these problems are pollution, stress, chemicals, and many more. Naturals ways are always good for all reasons. Hibiscus is a wonder flower especially for hairs. Hibiscus is also a well-known herb which is suitable for every person and provides many advantages as prevents hair fall, itchiness, dandruff and maintains healthy hair. It is easily available in the market in the powdered form and you can prepare any paste with the help of this powder and can keep your hair healthy. 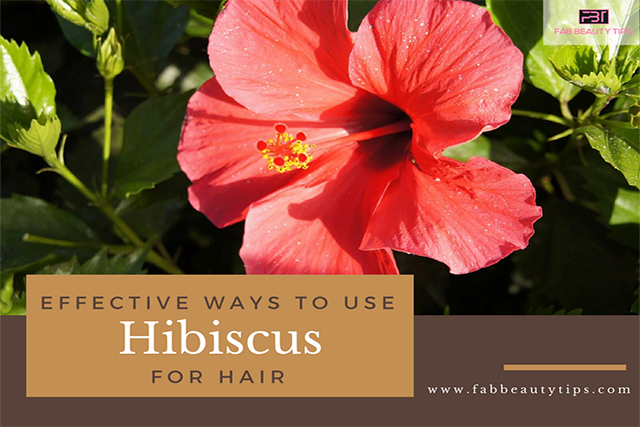 There are many different ways to use hibiscus for hair. 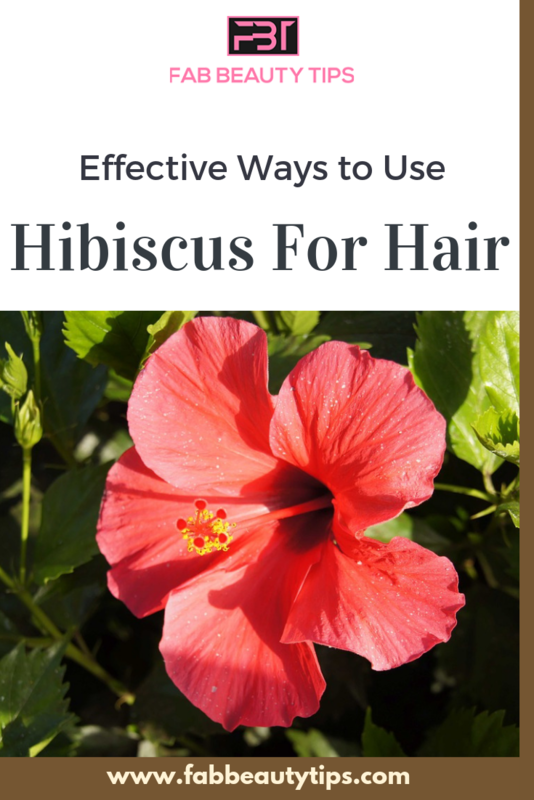 Here are some effective ways to use hibiscus for hair. Grind 10-12 hibiscus flowers and leaves. Take one cup coconut oil and then add the hibiscus paste to it. Heat the oil for 5 minutes and then turn off heat. After the oil gets cool down, apply on your scalp. After some time shampoo your hair. Hibiscus, when mixed with coconut oil, provides replenishment. Hibiscus is known as the best herbs for the strengthening of hair. Soak 1 tablespoon of fenugreek seeds overnight. Grind the hibiscus leaves and the fenugreek seeds along with butter milk. Apply the mixture to scalp. Fenugreek seeds helps to reduce dandruff. Mix hibiscus leaves with four tablespoon amla powder and make a paste. Apply that paste on the hair and then wash it off. Amla is a natural ingredient which helps prevent dandruff. Make a paste of 10 hibiscus leaves with water. Apply the mixture of hibiscus leaves with henna on the hair, it helps in conditioning the hair. From the old times, Henna is best known as conditioner. Mix yoghurt with hibiscus leaves. Apply the paste on hair and then rub the hair. Yoghurt is useful as it prevents greying of hair and help in gaining the same texture of hair. Grind the hibiscus leaves and make a paste of it. Apply to the hair and leave for three minutes. Boil hibiscus leaves with neem leaves. Let the water gets evaporated. Filter the mixture after it gets cool and then apply it on hair. If you feel itchiness in your hair then you must apply this mixture. Prepare a mixture of hibiscus leaves and amla powder with amla juice. Apply directly on the ends of the hair. It will help in reducing the hair fall as well as split ends. Prepare a mixture of coconut oil and hibiscus leaves. Apply on the roots of the hair. Oiling with the coconut oil and hibiscus leaves increases blood flow. Grind the leaves of hibiscus and henna together. Apply that mixture to the roots of the hair. Leave for 10 minutes and then wash your hair. Hibiscus helps in preserving natural lustre. We can maintain lustre of our hair by applying the paste of hibiscus flowers and henna leaves. Take 20 leaves and some flowers of hibiscus with water and boil them for at least 5 minutes. The mixture acts as a shampoo and is very healthy for hair. Soak the fenugreek seeds in water and leave it for the whole night. Next day take the soaked seeds and mix them with the hibiscus leaves and prepare a paste. Then apply it on the scalp. The fenugreek seeds are quite helpful in providing replenishment to the hair. Mix hibiscus leaves with amla powder and coconut oil. Apply on the hair and leave for 15 minutes before your hair wash.
Coconut oil gives bouncier and healthy hair. Make a paste with hibiscus leaves and add 5 tablespoon of curd to it. Rub on your scalp gently and then wash with shampoo. Curd provides strength to the hair. Soak the amla powder in amla juice. Mix the hibiscus leaves with the amla juice and powder and then apply on hair. Amla prevents hair fall and also reduces it up to a certain level. These are few ways to use hibiscus for hair. If you love this article don’t forget to comment below and let us know which one will you try. Do share this article with your friends too. This is an amazing post. I have used hibiscus flower in my hair oil And it does really work to control my dandruff. During winters dandruff is the main issues for hair loss.